Learn How To Stop A Nosebleed Right After It Attacks You! 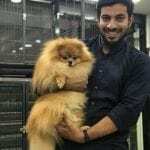 Once, in my school days, while we were playing on the ground, one of my friends fell down. Since she fell really hard, she had hurt her nose, and consequently, her nose had started bleeding. I wanted to help her, but since I was pretty young and inexperienced, there was nothing for me to do other than call for an elder and wait for them to do something. The sight of blood was super scary, and the way the elder treated her to stop nose bleeding appeared important. As a child, there were many instances where facial injuries, which are also the causes of nose bleeding. Although children do suffer more frequently, adults too face this problem now and then. Nose bleeding can be explained just as bleeding from the blood vessels in the nose. The inner nose is very delicate and has a fragile covering over the blood vessels. Also, there are quite a few blood vessels present there. Since the nose is delicate, it doesn’t just sit quietly when disturbed. Instead, the nostrils bleed with a little incitement. The amount of blood coming out can range from a tiny drop to a big gush. If the blood vessels are damaged too severely, then the blood gushing out of the nose can create really a scary picture. Although this blood does appear a lot, it actually is quite insignificant if we succeed to stop nose bleeding in time. So, let’s find the practical causes behind it. The membranes in the inner nose are quite delicate. Due to abrupt changes in weather or any disturbance, it breaks very quickly. When the membrane becomes dry, it cracks with ease, and thus the blood vessels get affected. Inserting a sharp object also damages the membrane. Excessive usage of blood-thinning medicines like aspirin. This method has been used for centuries already. This prevents the blood from flowing. This should help with excessive bleeding from the nose. Applying pressure to the nose bridge will be an instant cure for nose bleeding. While doing this, tilt your head forward in order to avoid the blood from running down your throat. Alternatively, blow your nose out gently so that the dried blood clots that might prevent the blood vessels from sealing itself can be cleared out. This simple procedure requires you to hold the soft region of the nose and press it firmly. Pinch the nose for around 10 minutes and breathe through your mouth meanwhile. Release the pressure and then repeat the process again after a break of 5 minutes. Note: Don’t lay down or tilt your head back during this procedure. This nose bleeding remedy is a simple one that works for minor bleedings. If the blood that is flowing is due to trauma, then this method can help. 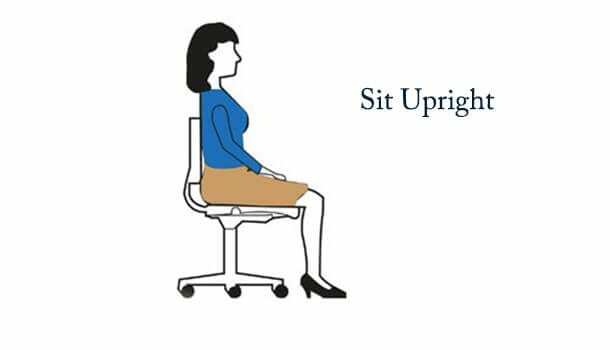 Keeping a correct posture prevents excessive flow of the blood. Sit upright with your head up. Don’t tilt your head towards your back or lie down. This should be done to prevent the flow of the blood down your throat. If however, the blood flow doesn’t stop with this method, do the pinch and press method. This should stop nose bleeding immediately. A cold compress is an excellent and faster nose bleeding treatment in case of adults. When the temperature decreases, the blood vessels contract. This, in turn, results in reduced blood flow. When we cold compress the nose, the blood vessels contract and the bleeding ceases. This nose bleeding remedy is ready at your home within your refrigerator. Cold Compress is also useful in curing many skin problems like hickeys, eye bags, and dark circles under eyes. Take few ice cubes in a thick cloth, wrap them up, and then press it down on the nose from both the sides. Tilt your head backwards while doing it. Do the compression for 5 minutes then take a break and then repeat. This is often used as one of the home remedies for nose bleeding and for curing blocked noses in case of allergies/infections. Pouring a few drops into the nostrils and then blowing cleans the nose. Along with this, it is also an excellent nose bleeding treatment. 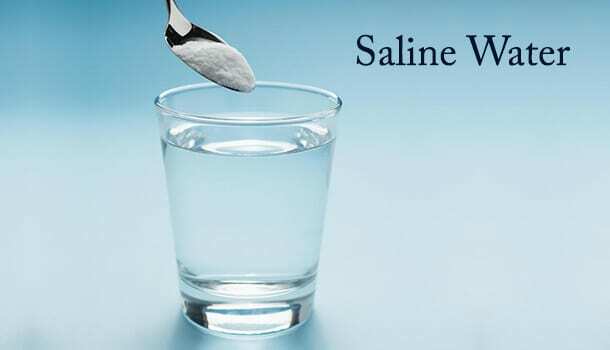 For people whose nose bleeds as a result of the dry and cold weather, this remedy is a must try. The salt water reduces the irritation in the nostrils and soothes the inner membrane. In a bowl of water add ½ a teaspoon of salt and mix it well. Once the salt dissolves completely, pour a few drops into each nostril and let it stay. Keep applying this nose bleeding remedy till the irritation in your nose disappears completely. Steam is the most efficient way of keeping the skin soft and moisturized. This also applies to the nose. In the case of people who suffer from symptoms of nose bleeding due to dry climates, this might be an answer to your problem. Boil a pan of water, and inhale steam from the pan. Stay at a considerable distance so as not to burn your nose by excess steam. The steam keeps your dry membrane moist and thus prevents the membrane from cracking. This is a simple cure for nose bleeding. If boiling water takes more of your bus time, inhaling the steam from your green tea or bath also works. This herb has many uses ranging from adding an aroma to dishes to treating diseases. In some ayurvedic remedies, it has been used to managing blood pressure fluctuation. 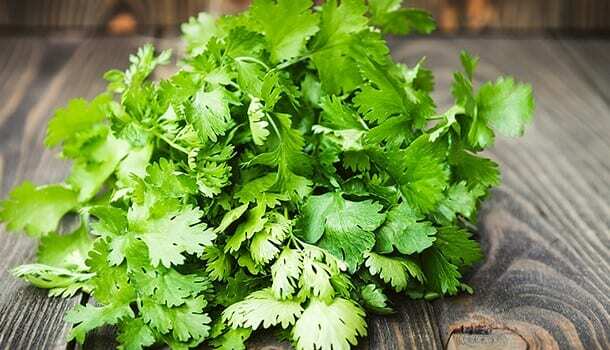 Coriander also finds its uses in nose bleeding treatment. Apply a coat of fresh coriander juice or coriander oil to the inner membrane from where the nose bleeds. This should stop the bleeding right away. It can be used as a medicine for nose bleeding. In some other home remedies for nose bleeding, applying a paste of coriander leaves to the forehead also stops nose bleeding eventually. This jelly is probably everyone’s friend during the harsh cold winters. Petroleum jelly is generally used in treating dry skin. The jelly helps in moisturizing the skin and traps the moisture inside the skin. This helps in curing many other typical skin problems like cracked heels, wrinkles, cold sore within no time. In the same way, it is able to stop nose bleeding as a medicine. It works the same way for the nose membrane. Apply a layer of petroleum jelly on the membrane and rub it in a little. Avoid applying a thick coating as it might block your nose, or you might inhale it. Lemon juice is an all-rounder for treating hair, skin and other parts of the body. As an all-rounder, it finds its use in treating nose bleeds as well. This tangy juice is the immediate cure for nose bleeding. Lemon has the age-old applications not only as a medicine for nose bleeding, but it also works for many circulatory and respiratory problems. Pour a few drops of lemon juice into the two nostrils and tilt your head back. Remain in this posture and relax. Mind you the lemon juice might sting a bit, but as the saying goes, no pain-no gain. 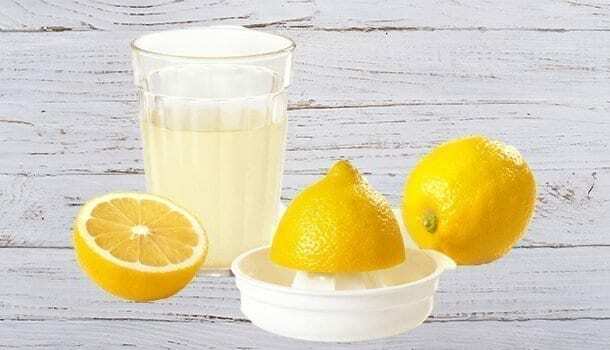 The acid in the lemon juice will put a stop to the bleeding, and the vitamin C present in it will nourish the blood capillaries so that future symptoms of nosebleeds are completely prevented. Cider vinegar has been used in various home remedies for silky hair and what not. For nosebleeds as well, it has its uses. Apple Cider Vinegar can be used in sealing blood vessels in order to prevent excessive blood loss. There are mainly two kinds of using vinegar to stop nose bleeding. To stop a nosebleed, dip two cotton balls in vinegar and then put them in the nostrils. Wait for 5 minutes and then take them out. This should stop the bleeding right away. Another way of using vinegar is to mix 2 teaspoons of cider vinegar in a glass of warm water and drink it. Drink it three times a day to prevent future nosebleeds. It’s the best treatment out of many natural home remedies for nosebleeds. This healthy veggie is loaded with nutrients and vitamin C. It has been reported that onion is a very effective natural remedy for nosebleed treatment as it has blood clotting agents which help in stopping the bleeding. Since onion has high vitamin C and bioflavonoids, it helps in nourishing the blood capillaries and helps them in resisting damage. Slice a piece of onion and hold it below your nose. Inhale the fumes that rise out of the slice. This will immediately stop the nosebleed. 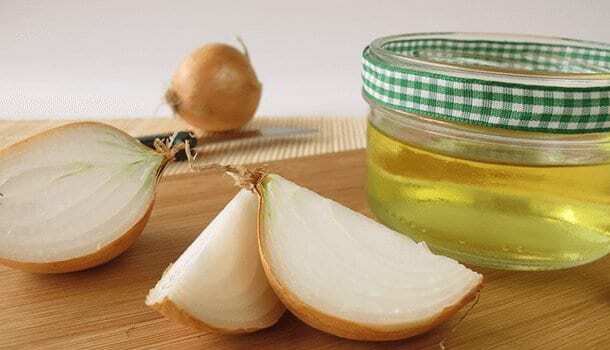 Another way of using onion for nosebleed is to trickle a few drops of onion juice into the nostrils. This will also immediate medicine for nose bleeding. Since the best cure for a disease lies in its prevention, let’s see the things that need to be followed to prevent the causes of nose bleeding. Increase your intake of water. Staying hydrated helps the delicate membrane from becoming dry. Drink 8 glasses of water daily. In the dry season, make it 12 glasses. For people who suffer from frequent nosebleeds, smoking will just act as a trigger for them. There are cases where even staying in a smoky environment triggers the nosebleeds. Turn the A/C off during the dry season. Air conditioners take up the moisture from the air leaving the nose dry. This only damages the membrane and paves the way for nosebleeds. Treat your common cold and allergies. If they remain untreated for long, you will keep blowing your nose. Excessive blowing of the nose damages the membrane. Improve your intake of vitamin C, and vitamin K. Vitamin C helps in producing collagen and thus makes the blood capillaries damage-proof. 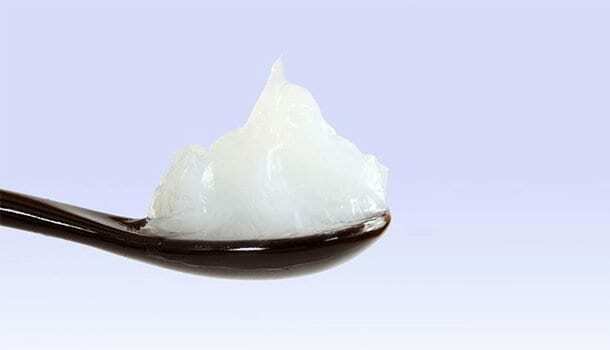 Vitamin K becomes useful to prepare blood clotting agents. Eat more green leafy vegetables and vitamin C-rich lemons and oranges to protect yourself from nosebleeds. The natural remedies for nose bleeding given above give an instant prevention to the bleeding and also work to strengthen the nostrils and their membranes. So when you see your friend with a bloody nose, don’t panic and go into a shock. Move your feet and get to work. Recall any of the home remedies mentioned above, and you are good to go.